The Moto Z’s selection of modular backings have been pretty hit or miss (largely miss, if I’m being honest), but this one’s pretty clever. Sure, the addition of a Polaroid Insta-Share Printer Moto Mod probably isn’t going to make anyone run out and buy the company’s latest flagship, but this is a case where it actually makes sense to have the accessory as a magnetic snap on. The Polaroid Mod first surfaced way back at Mobile World Congress in February, alongside the Alexa speaker, which starts shipping this week. It’s pretty much exactly what it looks like: a small photo printer that snaps onto the back of the phone. Unlike other mods, it doesn’t augment the on-board camera — instead, it has a cut out, allowing Motorola’s pretty solid dual-camera to poke through. 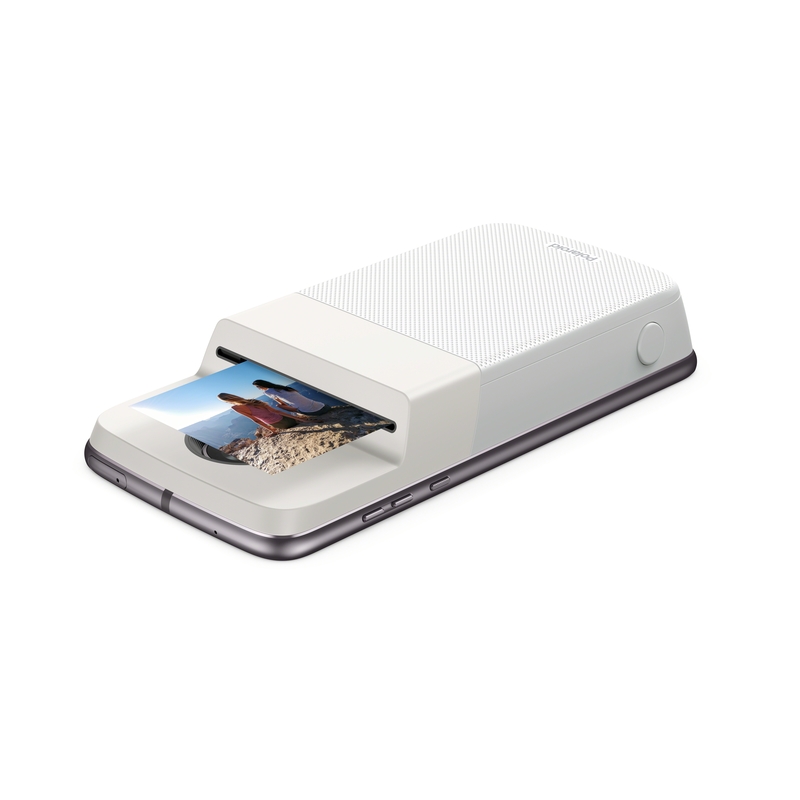 The add-on uses ZINK technology to print 2 x 3 inch photos from the camera roll and sites like Facebook, Instagram and Google Photos. All that and you don’t have to carry around a second printer. Seems like a good deal, right? Of course, the usual slate of issues apply with the Mod. For starters, at $199, it’s around $80 more than what you’ll pay for the perfectly serviceable standalone version of the Polaroid printer online right now. Also, portability is relative here. Granted, I haven’t actually tried it out yet, but this doesn’t look like it’s going to exactly slip into your pocket, so it’s probably not a thing you’re going to use, day to day. Though I suppose swapping the backs on and off is kind of the whole point of Mods in the first place. If you’re interested, it’s up for pre-order now through Motorola’s site. It will hit Verizon stores by the end of the month.